The Compton Youth Academy invites its members and families in the celebration of Jackie Robinson's legacy and the impact it has today. Pleas join us for a screening of the movie 42, and take part in Q&A session with special guests! 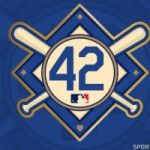 Check out this Non Sport event 'Jackie Robinson Day - 42 Screening' with Compton Youth Academy!